Everyone remembers Walter Mathhau from the series of comedies he made with Jack Lemmon in the 1990s which capped his long career. However, Matthau was a great actor, and he was born on this day! 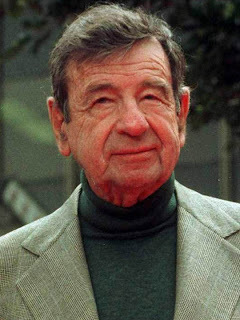 Matthau was born Walter John Matthow in New York City's Lower East Side on October 1, 1920, the son of Rose (née Berolsky; from Lithuania), who worked in a sweatshop, and Milton Matthow, an electrician and peddler (from Russia), both Jewish immigrants. His surname has often incorrectly been listed as Matuschanskayasky (see below for a detailed discussion). As a young boy, Walter attended a Jewish non-profit sleepaway camp, Tranquillity Camp, where he first began acting in the shows the camp would stage on Saturday nights. He also attended Surprise Lake Camp. His high school was Seward Park High School. 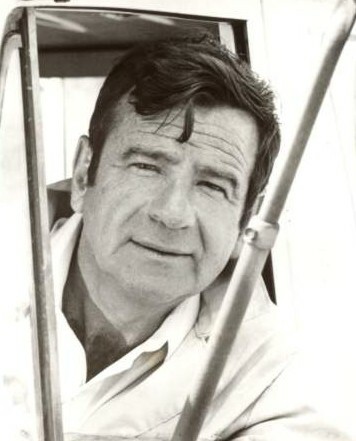 During World War II, Matthau served in the U.S. Army Air Forces with the Eighth Air Force in England as a B-24 Liberator radioman-gunner, in the same 453rd Bombardment Group as James Stewart. He reached the rank of staff sergeant and became interested in acting. He took classes in acting at the Dramatic Workshop of The New School in New York with the influential German director Erwin Piscator. He often joked that his best early review came in a play where he posed as a derelict. One reviewer said, "The others just looked like actors in make-up, Walter Matthau really looks like a skid row bum!" Matthau was a respected stage actor for years in such fare as Will Success Spoil Rock Hunter? and A Shot in the Dark. He won the 1962 Tony Award for Best Featured Actor in a play. 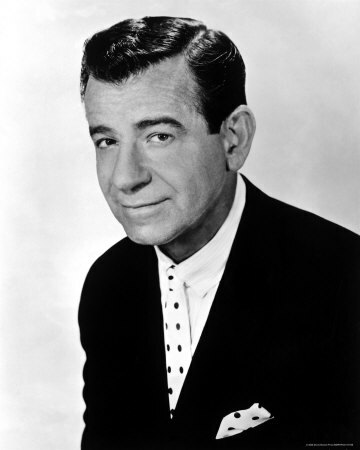 In 1952, Matthau appeared in the pilot of Mr. Peepers with Wally Cox. For reasons unknown he used the name Leonard Elliot. His role was of the gym teacher Mr. Wall. In 1955, he made his motion picture debut as a whip-wielding bad guy in The Kentuckian opposite Burt Lancaster. Matthau appeared as a villain in subsequent movies, such as 1958's King Creole (in which he is beaten up by Elvis Presley). That same year, he made a western called Ride a Crooked Trail with Audie Murphy and Onionhead starring Andy Griffith and Erin O'Brien, which was a flop. Matthau had a featured role opposite Griffith in the well received drama A Face in the Crowd, directed by Elia Kazan. Matthau also directed a low-budget 1960 movie called The Gangster Story. In 1962, he was a sympathetic sheriff in Lonely are the Brave, which starred Kirk Douglas. He appeared opposite Audrey Hepburn in Charade, which also starred Cary Grant. Appearances on television were common too, including two on ABC's police drama, Naked City, as well as the 1963 episode "A Tumble from a Tall White House" of The Eleventh Hour. He appeared eight times between 1962 and 1964 on The DuPont Show of the Week and as Franklin Gaer in 1964 in the episode "Man Is a Rock" on Dr. Kildare. Lastly, he starred in the syndicated crime drama Tallahassee 7000, as a Florida-based state police investigator, in the 1961-1962 season. In 1965, a plum comedy role came Matthau's way when Neil Simon cast him in the hit play The Odd Couple playing the slovenly sportswriter Oscar Madison opposite Art Carney as Felix Unger. Matthau would later join Jack Lemmon in the movie version. Also in 1965, he played detective Ted Casselle in the Hitchcockian thriller Mirage, with Gregory Peck and Diane Baker, a film directed by Edward Dmytryk, based on a novel by Howard Fast. He achieved great film success in a 1966 comedy as a shyster lawyer called "Whiplash Willie" Gingrich starring opposite Lemmon in The Fortune Cookie, the first of numerous collaborations with Billy Wilder, and a role that would earn him an Oscar for Best Supporting Actor. Filming had to be placed on a five-month hiatus after Matthau suffered a heart attack. Matthau was visibly banged up during the Oscar telecast, having been involved in a bicycle accident, nonetheless he scolded actors who had not bothered to come to the ceremony, especially the other major award winners that night: Elizabeth Taylor, Sandy Dennis and Paul Scofield. Oscar nominations would come Matthau's way again for 1972's Kotch, directed by Lemmon, and 1975's The Sunshine Boys, another Simon vehicle transferred from the stage, this one about a pair of former vaudeville stars. For the latter role he won a Golden Globe award for Best Actor in a Musical or Comedy. They can talk all they want about Nicholson and DeNiro, in my mind Matthau owned the 70s.